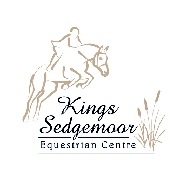 Here at Kings Sedgemoor Equestrian we offer a range of equestrian facilities for private and event organisers. All parties/ Individuals Booking KSEC must hold current, valid and appropriate 3rd party insurance or be covered by an organisations public liability insurance. Thank you.Examples ; BHS Gold, BE, BD, BS, Pony club or similar. to you shortly to confirm our availability.